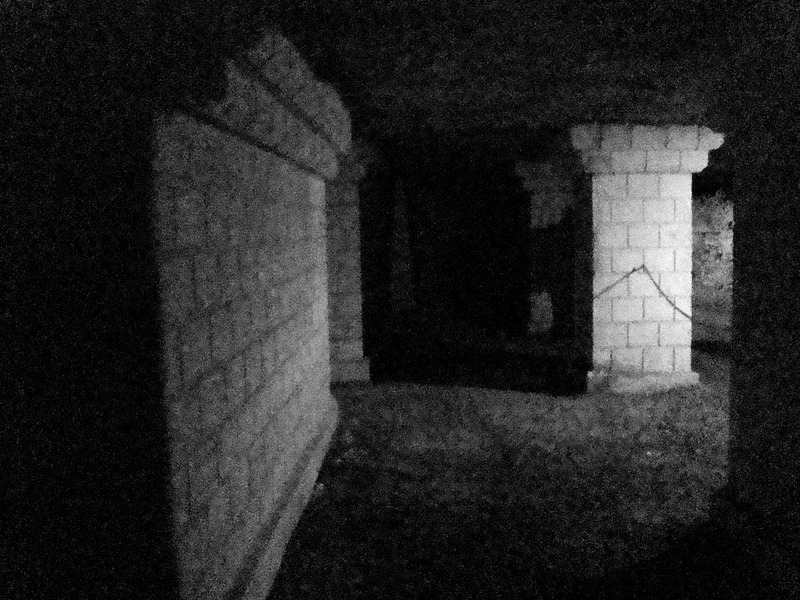 Dungeons have been likened to flow charts. As in-fiction tools to structure the game leading the characters from one room to another. In one design tradition this has led to D&D 4th’s linear adventures leading the players from one combat to the next. However, many paths through an adventure is part of the fun not just for the players but also for me as the DM, as I am not just presenting the adventure setup but playing it by adapting it to the choices, the players make. 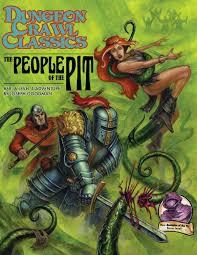 Right now, I am running two different groups through the Dungeon Crawl Classics module The People of the Pit, and a part of the charm is the different choices the players make and the different routes they pick. Now commonly adventurers behave nicely, when exploring dungeons. They kick in doors, negotiate peacefully or violently with the inhabitants, collect treasures and then move to the next door. As they gain levels, they gain new powers such as teleport, pass wall and gaseous form allowing them to circumvent doors and walls, and soon choose their own way through the dungeon. Some dungeon designers do lot like that, and they create teleporter-immune dungeons to avoid the players’ options of circumventing the dungeon flow chart (and not wanting the players to skip to the end of the dungeon, there is a certain logic to wanting to restrict teleporting, but it is also cheats the players of using their hard-earned resources). Yet, I find a pleasure in designing dungeons with multiple paths and multiple entrances allowing the players to choose their own approach. It also requires me to create the dungeon in such a way, that it can be explored in multiple ways. There is no guaranteed route, which means that each encounter must be able to stand on its own. To increase the various ways a dungeon can be played, I add areas, where the players can break the walls of the dungeon flow chart. Once the map has been drawn and the rooms designated, I sometimes go back and add a detail to the map. It can be a blocked passage between two rooms, whereby I show the players the existence of a potential passage, if they decide to clear it, but it can also be a fragile brickwall, they can choose to knock down. In some dungeons factors are added to increase the chances of a wall being knocked down, it may be a room with a hill giant swinging a large club, that if the giant misses with a certain amount hits a wall and knocks a hole into it, or it is a room with an owlbear chained to the wall, and if it is provoked, it may tear its chain loose leaving a hole in the wall. Fragile walls can be poorly constructed brick walls, thin cave walls, a worn down wall, a collapsed doorway. A fragile section is more than a door. Doors are in active use, doors are expected to be opened, and they can be closed. Doors are expected to open. 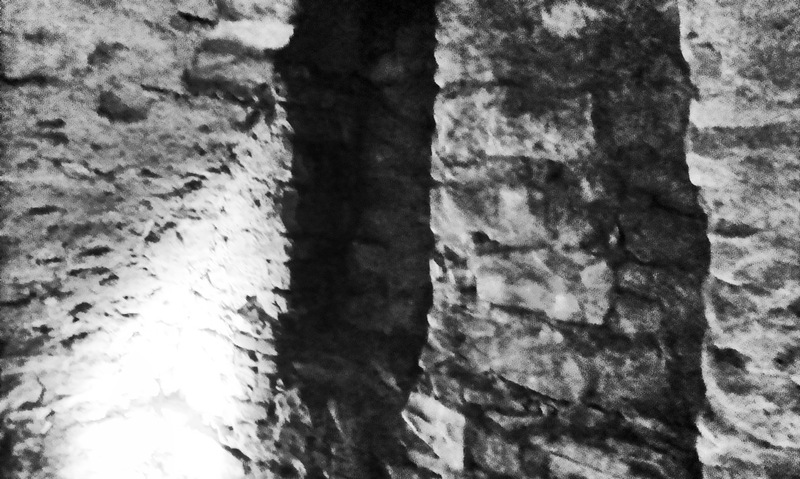 Breaking down a wall is an irrevocable change to the dungeon. It is forcing a connection on the flow chart, that wasn’t there, when you began the adventure. It is a change, the players added to the dungeon. Signifiers can be many things. It can be information revealed, when the room is examined. For instance, it may be details in the wall’s construction, that dwarves and thieves can identify. It can be something revealed by accident, when the players explore the room or interact with its inhabitants: It can be monsters chained to the wall, an unbalanced statue tipping over, an accidental strike during combat (any fumble by a large enemy) or an area attack (an area attack spell dealing 15+ damage or being 3rd level or higher). Signifiers can also simply be visual cues: They notice a bit of light shining through a crack in the wall, a section of the wall simply just appears as fragile, or tools being used to damage the wall have been left in the room. Giving the players the option of forcing their way through a section of the dungeon can be fun as a DM, if you allow them the choice and allow yourself to be surprised by their choices. This is why, it is an interesting thing to add the fragile wall sections to your dungeon after having populated the dungeon. In this way breaking down the wall is not something anticipated by the inhabitants, and the encounters are not designed to handle it.